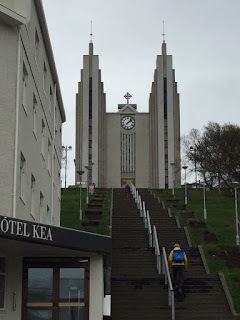 As we traveled around Iceland, we saw a lot of churches. There were two large famous ones. A few middle sized ones, and lots of small tiny ones. Someone told us that in order to be considered a town, there had to be a church. So every little spot that wanted to be a town, had a church. This Church above was the church in Akureyri. It was done by the same architect as HallsgrimKirkja in Reykjavik. It has elements that are to remind you of basaltic columns, crystals from Iceland, etc. Iceland was originally, pagan as were the Vikings, worshipping Norse gods. Then they became Catholic at the bequest of the Norwegian royalty. Finally, they were taken over by Denmark, who insisted they become Lutheran. The last Catholic bishop and his sons were beheaded at Skaholt. 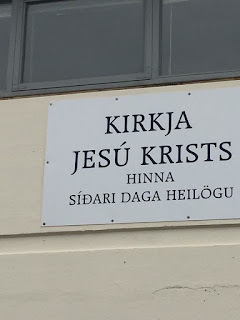 Which is now a very sacred place to Icelanders. They are predominately Lutheran today. We got to sit in for part of a service in Aukureyri. And there was a ship model suspended from the ceiling of the church. This is a town that has always relied on the ocean for it's livelihood. This is the new Skaholt church, built in the 1950's, next to this much older turf roofed church. This is the location where the last Catholic bishop of Iceland was martyred. When we arrived, there was some sort of service that was just finishing in the old church and moved to the new church to finish. Inside of the new church. In the basement, a sarcophagus that was used to house the bishops bones, long after he died. Outside and inside of the old turf church. Ruins from the oldest catholic church on the site. 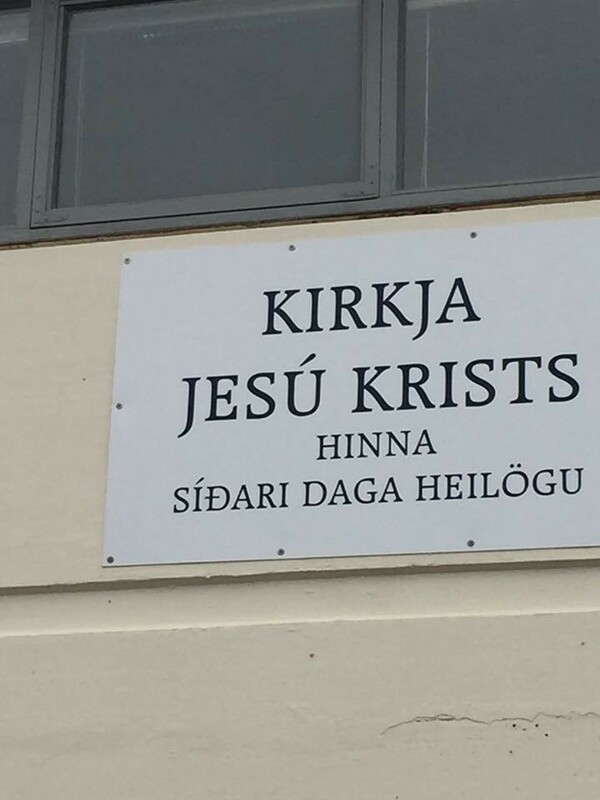 Our Church is not well established in Iceland. There are just two small branches. We attended one the first Sunday and the second on our last Sunday. This was in a commercial looking building in Hofn. The second branch actually had it's own church building. Another modern church in Akureyri. Most of the churches we saw looked like this. Very small and picturesque. Little Brown church in Budir. Highest point in the city. And you can take an elevator up the steeple to see the views of the city, which we dd. While we were in line to go up. A 20 something pulled some kind of prank by running naked through the church. No one paid much attention. In front of the church, is a statue om tribute to Leif Ericsson the first European to discover America. It was a gift from the USA.